Ardell Duo Brush on Striplash Adhesive comes with an ultra-thin brush for precise, quick application of both strip and individual lashes for all-day wear. Additional Information: Ardell is the world-leading brand in faux eyelashes. Offering a wide range of variations to choose from. 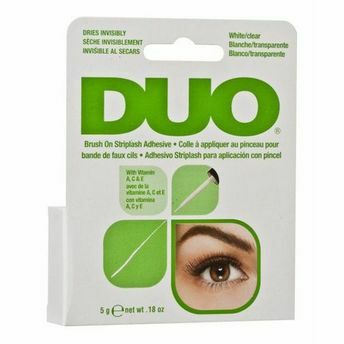 Ardell Duo Brush on Striplash Adhesive aids wonderfully for perfect eye makeup.